The Amare Wall Cabinet makes an attractive solution to your bathroom storage needs. 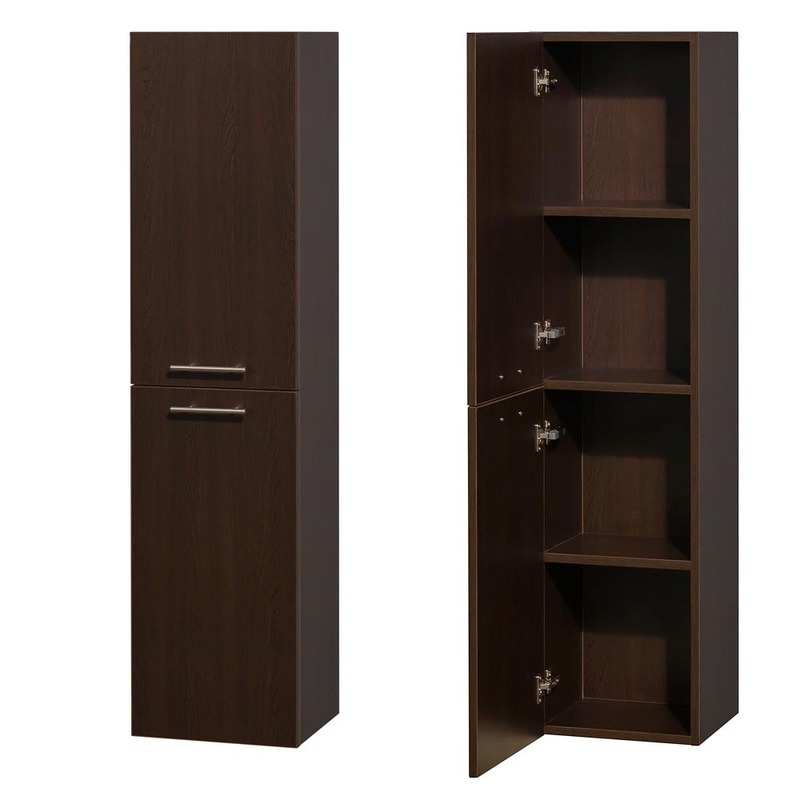 It has a wall-mounted design with a gorgeous Espresso wood grain exterior that's accented with Brushed Chrome hardware. 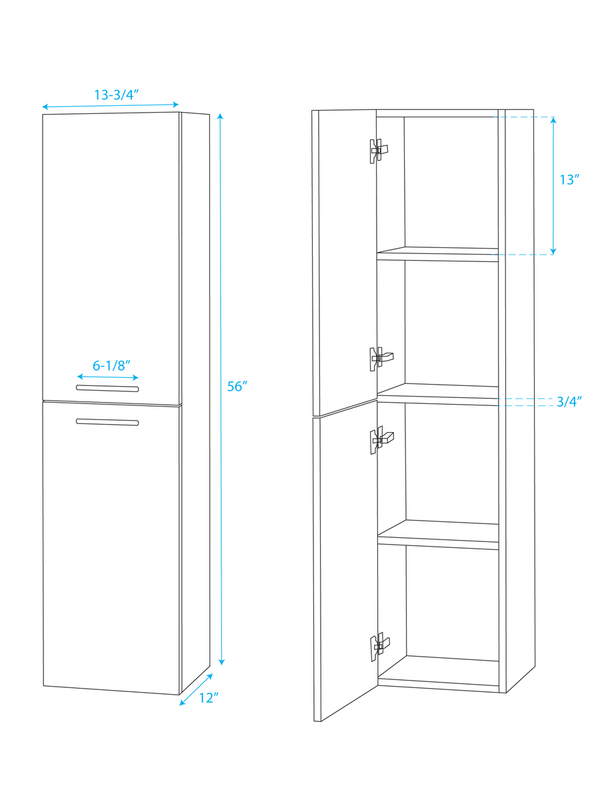 Simple lines with four spacious drawers that's separated by two doors give you a wall cabinet that's both stylish and functional. Perfect for matching with any of our Amare Vanity Collection.